On 18th November, 2015,there will be an App Wiz Demo Day on Wednesday 18th November, 2015.This is a day when we open up @iBizAfrica to invited guests for Demos by the App Wiz group. Each group will set a stand at their workstation and present to guests as they come. The Safaricom App Wiz Challenge is a three months long accelerator program sponsored by Safaricom. It aims to help selected innovators leveraging on mobile technology move from idea/prototype to product or service within an incubation period of 3 months. The program is an initiative of Safaricom LTD in collaboration with @iBizAfrica- Strathmore University. 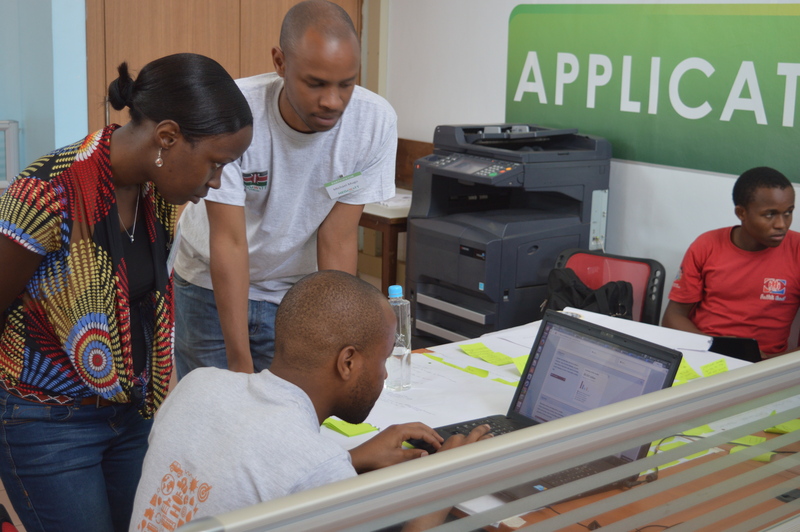 Safaricom App wiz challenge aims to become the best mobile startup accelerator program in the East African region launching successful start-ups into the Kenyan market. You are invited to be part of the demo day to see the cool applications that have been developed. Kindly register here. This entry was posted in @iBizAfrica, @iLabAfrica and tagged @iBizAfrica, @iLabAfrica, Accelerator, App Wiz Challenge, AppWiz, Demo Day, Safaricom, Startups. This entry was posted in @iBizAfrica, Other Stories and tagged #mvp, @iBizAfrica, @iLabAfrica, Demo Day, Founders Hive. The Demo day was a culmination of the Boot-camp phase of the Negawatt Challenge where 4 teams showcased working prototypes of energy efficiency innovations. Two top teams will be selected to advance to the final stage, The Acceleration, where the focus will be go MVP launch and development as well as go-to-market.. The different teams, Angaza, Wattsaver, Wezesha Huduma and Plugin had one month of mentorship and entrepreneurship training at @iBizAfrica. The team unveiled a solution to help energy consumers’ move from grid to solar bit by bit. The Angaza Smart Energy Device also promises to help consumers Keep track of consumption reduce monthly utility bill by optimally connecting different home appliances to different energy sources. Starting off with Kshs 15,000 for a Kshs .100,000 system, users will enjoy affordable and stable power supply and smart energy management and monitoring. The team behind this innovation are all young engineering students and include: Phillip Ochola (Team Leader), Frankline Mogoi (User Experience), Clement Nzau (Marketing) and Caroline Njeri (Business Lead). Composed of Joseph Kanyi (team leader), Daniel Simiyu (Research & Software design), Brian Mutwiri (Hardware and Software architect), Dennis Mwanza (IT and Business Lead), Alloice Lagat (UI/UX lead) showcased Wattsaver. Wattsaver is a smart devices that automatically switches off power supply to a fully charged device and electronic gadget on standby. The energy saving gadget not only guarantees savings in energy bills but also preserving and extending the life of electronic gadgets and batteries. This team launched smart biogas production and monitoring technology. They unveiled the automated Green Cell Energy Technology. The solutions is a redesign of the traditional bio-gas dome, where the dome structure is replaced with a new greenhouse structure and layered tanks. The new design is incorporated with internet of things technology where sensors are able to detect the temperature and methane gas levels required for optimum bio-gas production. The teams intends to roll-out clean and affordable green energy in slum areas in Nairobi. Team Wezesha Huduma is comprised of Paul Kimanga (Team leader), Lenah Wanjiku (lead engineer) Joseph Gitonga ( Lead Software architect), John Ngugi (software developer) and Alex Kachu (Sales and Technical Lead). Team plugin showcased the Plugin Pulse, a device that will drive solar energy adoption and provide solar energy providers and other energy data consumers with a myriad of energy usage data across different consumer groups including households, organizations and factories. The team, positioning itself to be the Google Analytics of energy data in Africa is composed of Dr. Winnie Waudo (CEO and clean energy expert), Graham Ingokho (Operations and technology lead), Michael Mugo (CFO), Kelvin Micheni (Lead product development and R&D) and Pharis Kahama (Lead designer user experience). The teams wait with baited breath for the announcement of the top two teams to proceed into the final stage of the Negawatt Challenge, a two month accelerator program, whose aim is to set the teams on the path for MVP development and launch and go-to-market. The winners will be announced this week through a blog post by @iBizAfrica and the iHub. This entry was posted in @iBizAfrica and tagged @iBizAfrica, Demo Day, Negawatt. The Negawatt Challenge has been a great opportunity for participants to come up with great energy saving solutions. 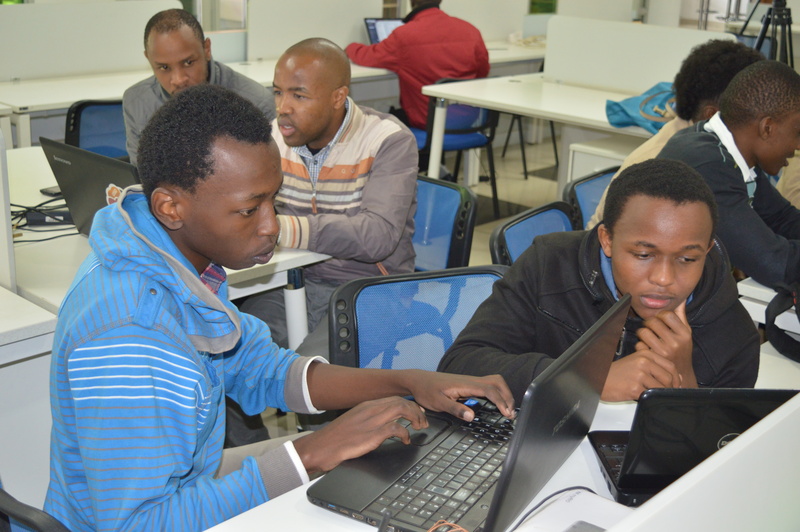 The Journey begun on Saturday 21st , where @iBizAfrica together with *iHub hosted the Negawatt Weekend challenge. The event was attended by over 70 participants who had registered to take part in the challenge and develop solutions that would solve energy problems in their community. After the bootcamp series, the final stretch is the Demo Day. The home stretch. In this final phase, local Negawatt semi-finalists are invited to compete with their international counterparts. With one month of mentorship and entrepreneurship training under their belts, each of the teams in Nairobi: Angaza, Plugin, WattSaver and Wesesha Huduma are ready to showcase ground Breaking innovations at the Negawatt Demo Day. What next after Demo Day? Two top teams will be selected at the demo day to advance into the final stage of the challenge which is a three month accelerator program that will focus on taking the Innovations to market. All are invited to witness the latest innovation in the energy sector by registering here. Venue : Strathmore University, Student Center- 4th Floor. This entry was posted in @iBizAfrica and tagged @iBizAfrica, Demo Day, Energy, Negawatt.